What is a Gutter Cover and what do they do? Protect your home and your gutters: add gutter covers. Some homeowners get worried when it rains. They know that it’s time to get up on a ladder and clean out their gutters. Gutter cleaning can be dangerous, but if you don’t clean your gutters, that’s hazardous to your home. Clogged gutters not only warp and sag, they spill water onto the ground below, damaging your landscaping and your foundation. Installing a gutter cover is a solution to these worries, but what type of gutter cover should you choose? 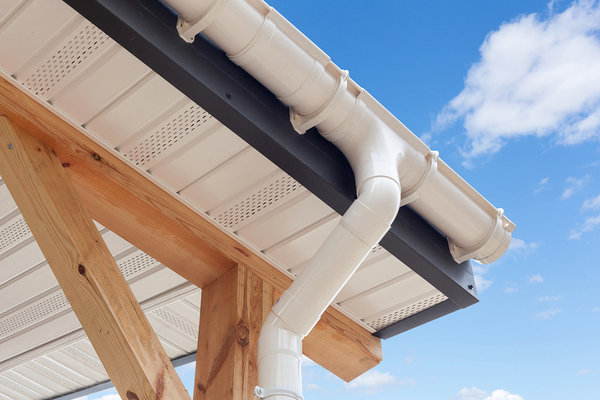 What Is a Gutter Cover? A gutter cover is your home’s roof debris defense system against leaves and other debris. Without a cover, the debris will slide into your gutters and accumulate, causing your gutters to overflow, warp, and sag. With a high-quality gutter cover, you’ll reduce the amount of time you spend thinking about and maintaining your gutters. In fact, you may never need to clean out your gutters again. What Are the Benefits of Gutter Covers? With gutter covers, you’ll reduce your worry about home maintenance and home repairs, and you’ll never have to clean your gutters again. What do Gutter Covers Cost? How much will it cost to add a gutter cover to your home? The chart above outlines the basic cost of the some of the products on the market. There are many products that are billed as gutter covers, filters, and inserts. As with any consumer choice, you get what you pay for. Look for gutter products that will work well and last a long time. Most of all, you need to find a product that will do the job. For example, a gutter screen may cost less than a dollar a foot, but you still need to clean the debris off the screens regularly. You haven’t saved yourself much time or hassle, nor have you prevented the landscaping and home problems that overflowing gutters can cause. How do Surface Tension Covers Work? Surface tension gutter covers provide a seamless way to avoid clogging problems. Water likes to cling to surfaces and to itself, and surface tension covers take advantage of this, allowing water to move across the cover and slip under the end of the cover into the gutter. The leaves, needles and other fine debris slide off the end of the gutter cover and onto the ground. When you’re looking for a gutter solution, talk with Harry Helmet. After many years in the gutter replacement business, we know how to work with your home to keep it safe. Learn more about Gutter Helmet today.